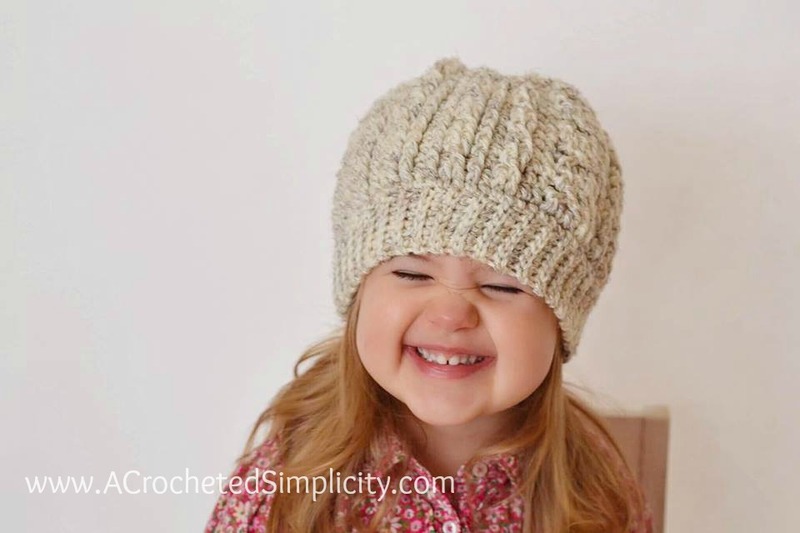 After designing my Crochet Cabled Messy Bun Hat, I was asked if I could add instructions for a beanie. 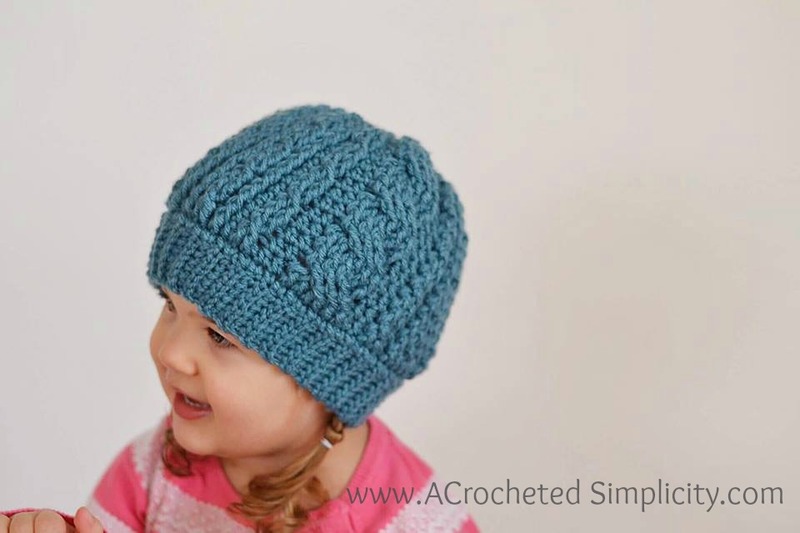 So here it is, the Cabled Beanie version! ? Forward Cable 2 (FWD Cbl 2) (click for tutorial): Skip the next post st, fpdc around the next post st, working in front of the post st just worked, fpdc around the skipped post st. Forward Cable 6 (FWD Cbl 6) (click for tutorial): Skip the next 3 post sts, fptr around each of the next 3 post sts, working in front of the post sts just worked, fptr around each of the 3 skipped post sts. 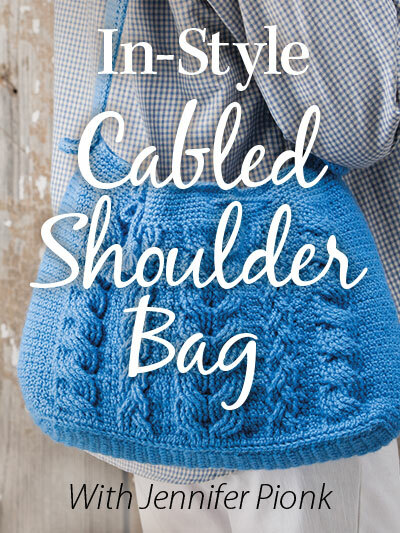 *Note: Video is for the cabled messy bun option, but both hats are worked the same way. Make sure to check the written pattern for the number of repeat rounds before the crown shaping and Rnd 3 of crown shaping. Rnds 4 – 5: [ hdc in the next st, fpdc around each of the next 4 post sts ] work from [to ] 4 times, hdc in the next st, fpdc around each of the next 2 post sts, hdc in each of the next 2 sts, fpdc around each of the next 6 post sts, hdc in each of the next 2 sts, fpdc around each of the next 2 post sts, then work from [ to ] 6 (7) times. (Toddler) Rnds 6 – 13: Rep Rnds 3 – 5, ending w/ a Rnd 4 rep. Do not fasten off. Continue on to Crown Shaping. (Child) Rnds 6 – 15: Rep Rnds 3 – 5, ending w/ a Rnd 3 rep. Do not fasten off. Continue on to Crown Shaping. The finished height of your hat should be approximately (6.75″, 7.25″). Fasten off leaving an 8″ tail. Using a yarn needle and tail of yarn, weave in and out of the stitches from the last round of crown shaping, pull tail of yarn tight to cinch and close the hole, weave in ends. Row 3: Ch 1, BLO sc in each st across to the last st, BOTH LOOPS sc in the last st. Turn. Rep Rows 2 – 3, ending with a Row 3 Rep, until your band (unstretched – meaning before it’s been wrapped around a head) measures (15″, 16″). Do not fasten off. Continue on to Seam. Rnd 2: Ch 1, [ hdc in the next st, fpdc around each of the next 4 sts ] work from [ to ] 5 times, hdc in the next st, fpdc around each of the next 2 sts, hdc in each of the next 2 sts, fpdc around each of the next 6 sts, hdc in each of the next 2 sts, fpdc around each of the next 2 sts, then work from [ to ] 7 (8) times. Rnd 3: [ hdc in the next st, fpdc around the next post st, FWD Cbl 2, fpdc around the next post st ] work from [ to ] 5 times, hdc in the next st, FWD Cbl 2, hdc in each of the next 2 sts, FWD Cbl 6, hdc in each of the next 2 sts, FWD Cbl 2, then work from [ to ] 7 (8) times. Rnds 4 – 5: [ hdc in the next st, fpdc around each of the next 4 post sts ] work from [ to ] 5 times, hdc in the next st, fpdc around each of the next 2 post sts, hdc in each of the next 2 sts, fpdc around each of the next 6 post sts, hdc in each of the next 2 sts, fpdc around each of the next 2 post sts, then work from [ to ] 7 (8) times. (Teen / Adult Small) Rnds 6 – 17: Rep Rnds 3 – 5, ending w/ a Rnd 5 rep. Do not fasten off. Continue on to Crown Shaping. (Adult Medium / Large) Rnds 6 – 19: Rep Rnds 3 – 5, ending w/ a Rnd 4 rep. Do not fasten off. Continue on to Crown Shaping. The finished height of your hat should be approximately (8.25″, 8.75″). The foundation chain amount is not specified. I want to make the medium adult hat but don’t know how long to make my foundation chain! This is Not a beanie hat pattern. 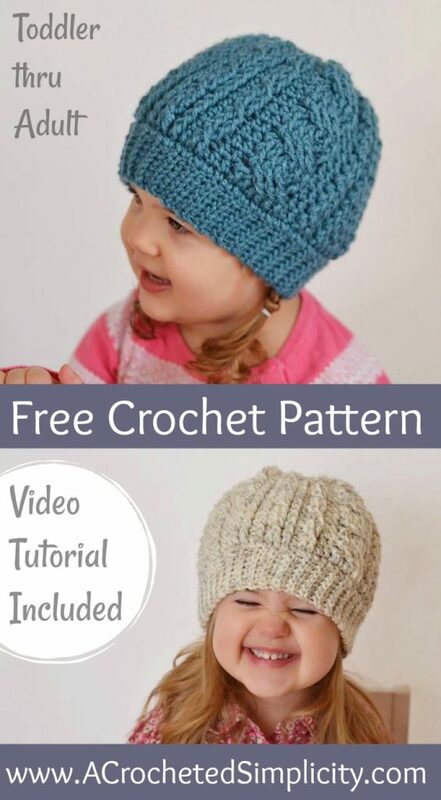 This is a messy bun hat pattern!? Then maybe I miss counted? When I finish the last row of hat there’s a hole at top of hat.